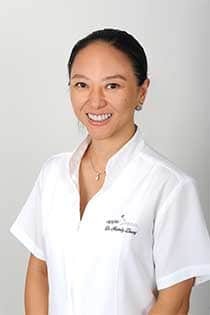 Since graduating in 2000 with a Bachelor of Dental Surgery from the University of Adelaide, one of Australia’s most prestigious dental schools, Dr Mandy Zheng has gained continuous private practice experience since joining Dr Casiglia in 2002. Mandy enjoys providing excellent general family dentistry, with a special interest in restorative dental procedures, such as cosmetic and complex reconstructive dentistry, including Invisalign, facial injectables and smile makeovers. Mandy takes a dedicated approach to continuing her education, believing this is the best way to ensure that her patients receive the most up-to-date treatments available. Health is the most important thing to Mandy and she strives to ensure all her patients enjoy the very best dental health, with the knowledge that this protects their general health. She loves meeting and chatting to people from all walks of life and learning more about their occupations, hobbies and interests. Of course, Mandy always loves to talk about anything to do with teeth. With her bright and bubbly approach, Mandy has developed a loyal and committed patient base over her many years at Apple Dental. She relishes the chance to make new patients feel comfortable and at ease with today’s dentistry from their very first visit to our Lane Cove practice. When not here at Apple Dental, as a mum of two children, Mandy is kept very busy. She is actively involved with the local school community, helping with literacy groups and with fundraising. Her other passion is food and Mandy loves exploring the active food scene in Sydney. A big fan of the white stuff, Mandy takes every opportunity to ski and has recently started running. To schedule a consultation with Mandy, call us on (02) 9420 5050. 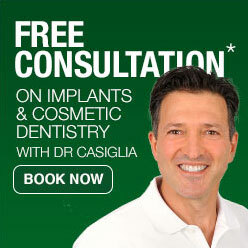 Apple Dental Lane Cove is located at 1 Finlayson St, Lane Cove NSW 2066.